I mentioned last week I wouldn’t reveal what I got The Guy for his birthday because we wanted to experience it together first before telling everyone! Now that our unplugged weekend is over, we can explain. 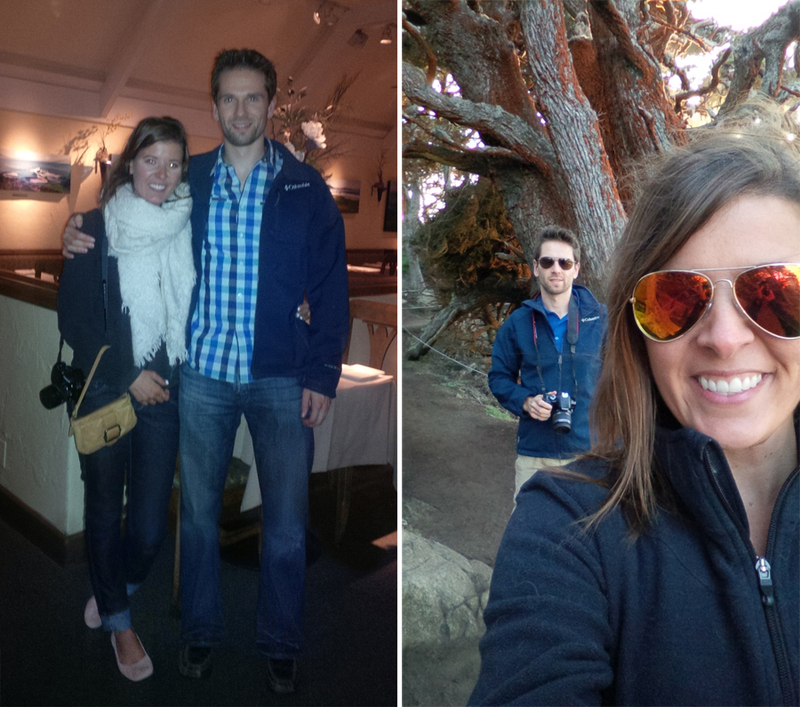 I took my husband on a 2 day honeymoon this past weekend, to the romantic town of Carmel-by-the-sea. It was every bit of relaxing, breathtaking and enjoyable all with beautiful scenic views of this wonderful little town. We needed to disconnect from the world a little bit, so that’s exactly what we did. Many people get caught up in this comparison trap, and I for one fall for it too. I try and realize when I’m doing it, so I can snap out of it. It’s an evil thing. Instead we must create our own memories, our own happy getaways, vacations, being alone with one another and not scrolling through twitter and instagram or reading the news during supper. The Guy and I never had a honeymoon and I don’t consider this a true honeymoon since it lasted 2 days, but it’s as close as we’re getting to one right now. Eventually I’d love to go away with him on a longer trip. For now, this was a fantastic getaway to unwind, explore the West Coast lifestyle and simply be present. I don’t want to lose that special bond I have with my husband because I’m not present with him in the moment. We’re always connected online, and can easily fall into being disconnected with the most important people in our lives. This weekend we made memories. Have you been to Carmel? Where did you go on your honeymoon? If you’re not married — where would you like to go? Nancy, I absolutely love the picture of the 2 of you perched on the rocks. All others are nice as well. Looks like you both had a nice holiday for yourselves. Looking forward to hearing more of your exploits. 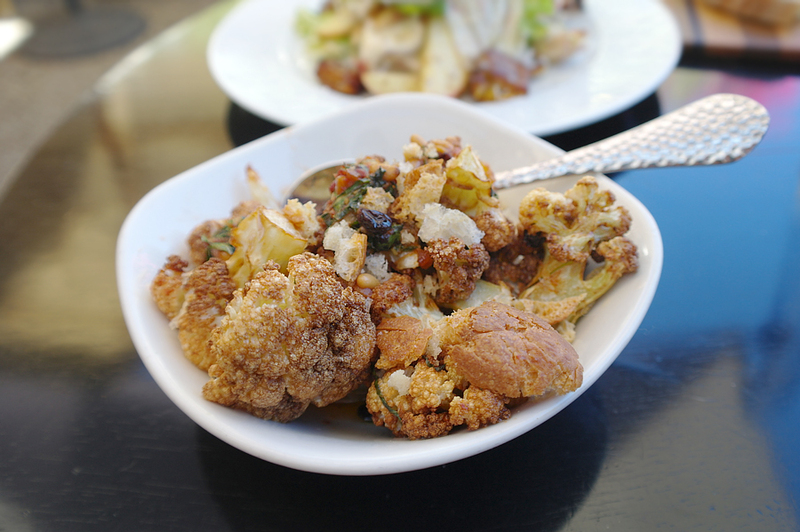 the food looks wonderful and it sounds like you fit in a lot of great memories into two days! Oh, Nancy! This looks incredible!! I’m so glad you got a quick getaway. 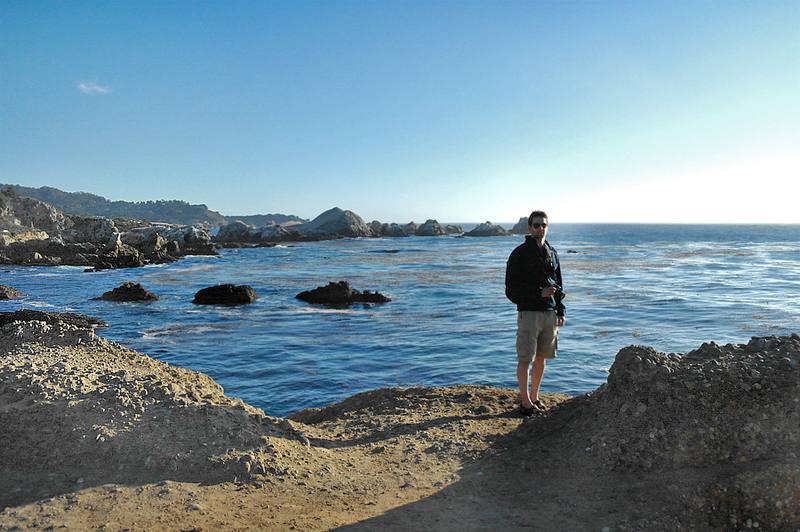 I’ve been to Carmel quite a few times (and also love nearby Monterey)- I can’t wait to hear more about your adventure! I’ve been to Carmel and loved it, it was a long time ago. We went on a cruise for our Honeymoon to the Caribbean. It was so much fun. awww how wonderful! who took that pic of you two on the cliff?! love that one! @Ruthy T. (@DiscoveryStreet): A girl who was also hiking up around there offered to take a few snaps for us. She was hilarious, cracking jokes to make us smile and pose in certain places, it was awesome. 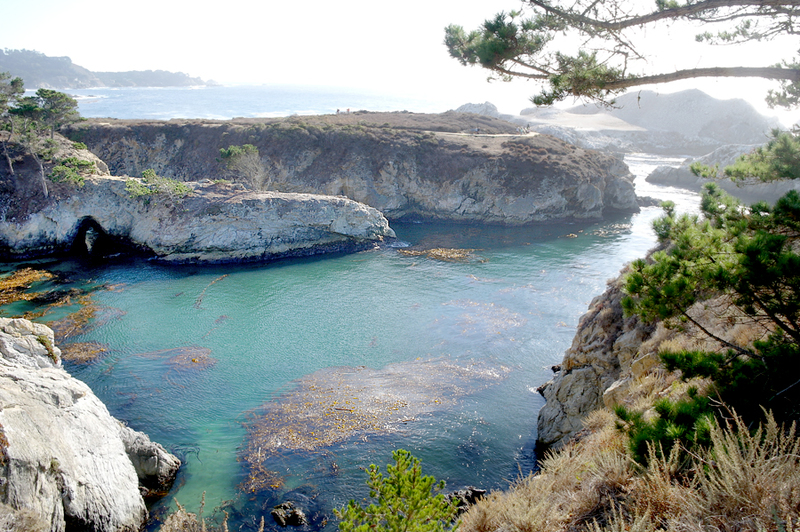 @Carla (@charliesue): We haven’t made it to Monterey yet, I can’t wait to check that place out next! Looks amazing! How sweet of you to do that for him! Did you bring your pup along too? Wow, what a beautiful location! Looks like you guys had a great mini-getaway! How fun! Glad you guys had such a good time. You’re an adorable couple. So true about the comparison trap!! it’s so important to get away from it all and enjoy eachother’s company. Looks like an amazing time! Oh my gosh what a beautiful place! We stayed pretty local for our honeymoon, couldn’t afford to travel out of the province so we toured ours, stayed in the mountains for a couple days which was pretty fabulous! Aw such cute shots! That place looks beautiful! I love Carmel! I was there last November. It’s so gorgeous! Enjoy your honeymoon! What a stunningly beautiful place!! I have no idea where I would choose to go on my honeymoon. Also, I am still so in love with your pup! So beautiful, can’t wait to get one similar! Katie Matthews recently posted..Let’s get NKD SKN with a discount! I completely understand about being unplugged. I’ve been trying so hard to step away a little bit but it’s so hard. 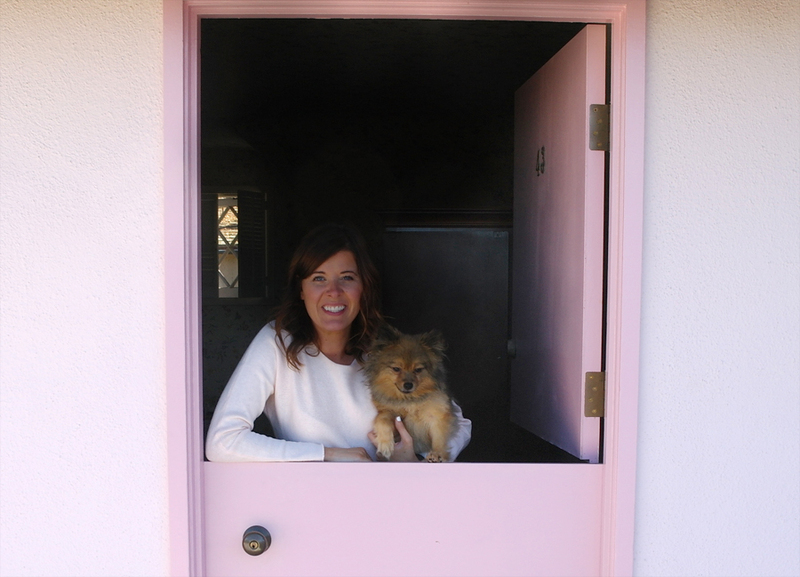 I love the photo of you in the door! 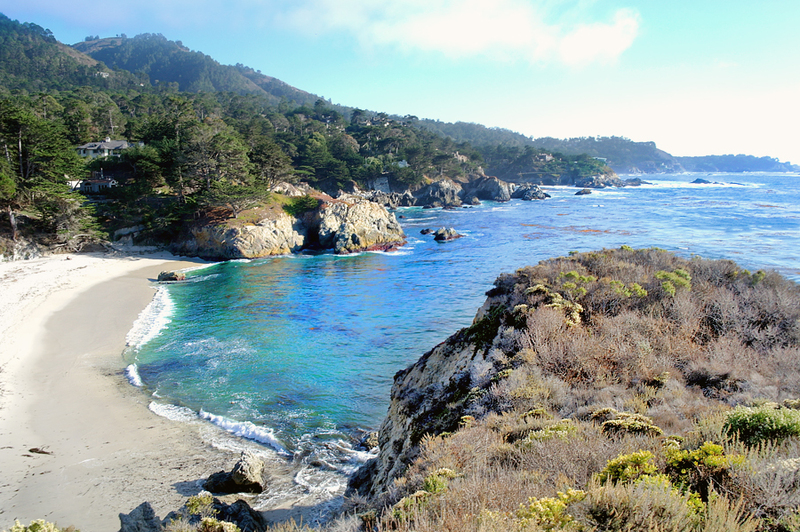 Love Carmel, it is a Bay Area staple in terms of weekend getaways! I actually got married for the first time there overlooking a cliff. Honeymoon for that time around was a Caribbean cruise. Second honeymoon with second hubby was in Tahiti and I have fond memories of that trip. Can’t wait to read more about your trip and if that pasta is from Napoli? Sounds and looks dreamy! SO happy you were able to get away! That is an AWESOME birthday surprise. I didn’t go on my honeymoon right away either (moving with the military), but we finally did get to go on a 14 day Mediterranean cruise. Magical! 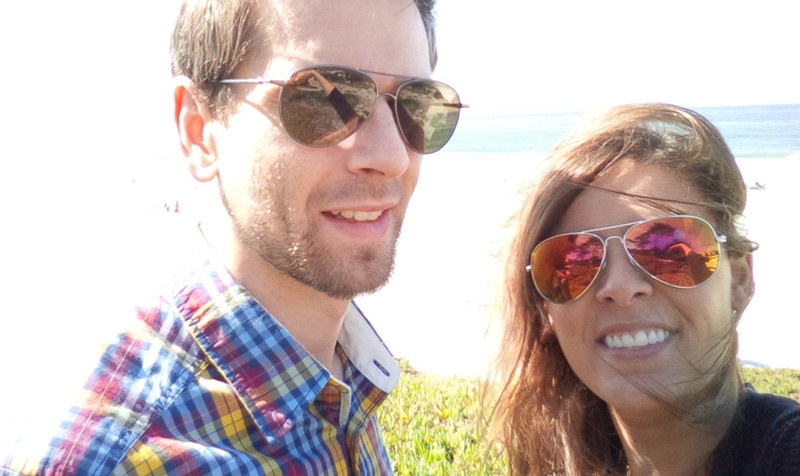 Carmel is a beautiful place to spend a few days and a mini-honeymoon. Your pictures capture it perfectly! I am so glad you had the opportunity to get away and unwind. i looks beautiful there and sounds like an awesome honeymoon! This looks beautiful! Sometimes you just need a little recharge! 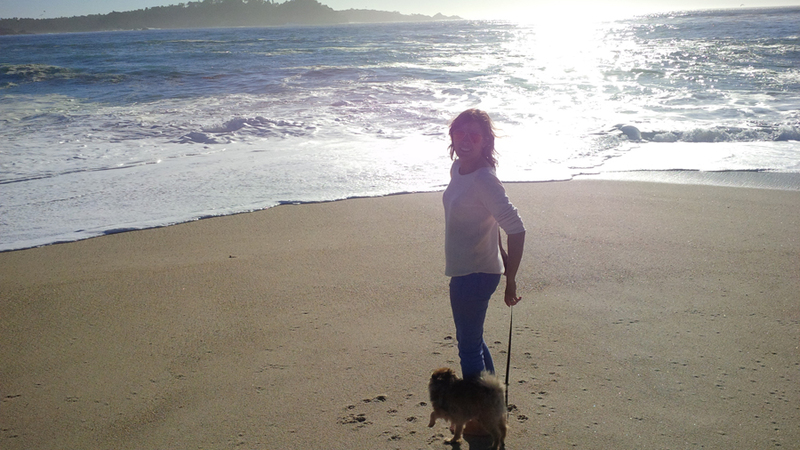 Yes, I’ve been to Carmel and it’s one of my favorite places on the planet! If you’re going to have a two-day honeymoon, that’s the place to go. We try to go every year, and we bring our dog because it’s such a dog-friendly town. I also did not get a honeymoon (boo), but that’s because we didn’t have a real wedding, we eloped (yay!). Michelle recently posted..Zombie Flash Fiction Published! Such beautiful pictures, and you two look perfect together! 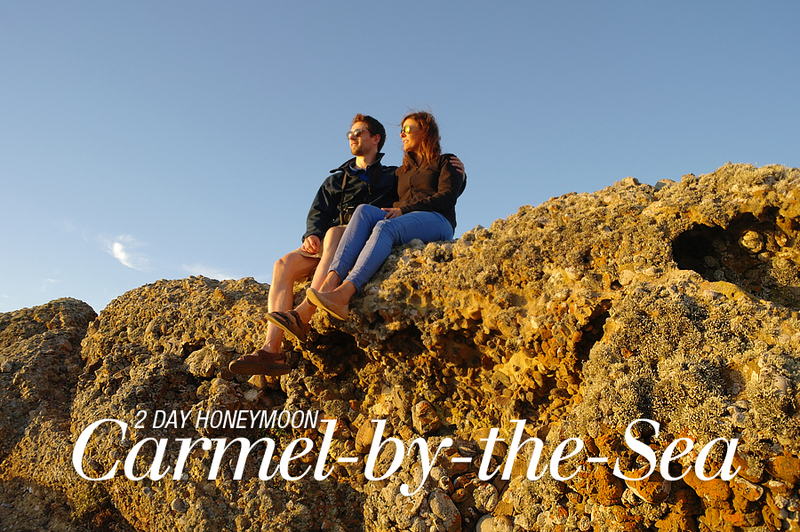 I love Carmel – we went there for a few days after our wedding to relax and unwind too! So glad you enjoyed it – I always look forward to another getaway down there! This looks gorgeous! My husband and I actually only did a 2 day honeymoon, I’m hoping for a “real” one for our 10 year anniversary, maybe I can convince him to get a passport by then. LOL. Andrea Nugent recently posted..EZBZ Twitter Parties (10/21, 10/24 and 10/30) at 6pm EST …Win a Weekend Trip for Two! 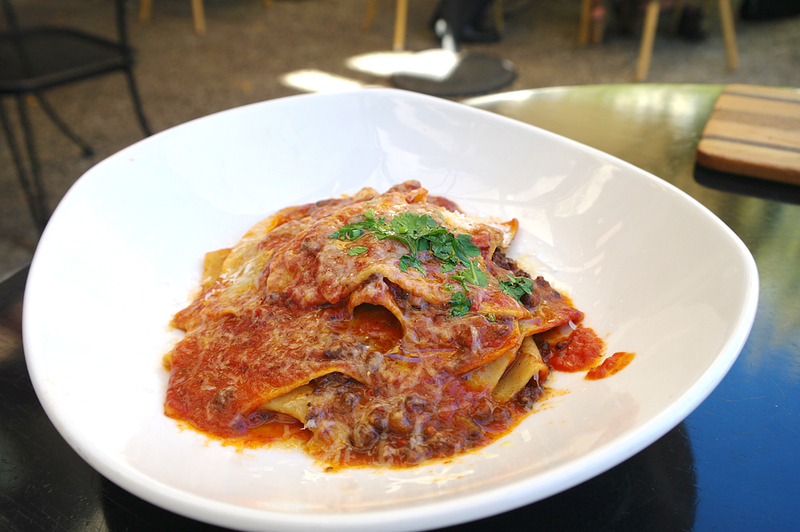 @Andi: No, the lasagnette we ate at a restaurant called la Balena. @Tammi: Thank you for the kind compliments! 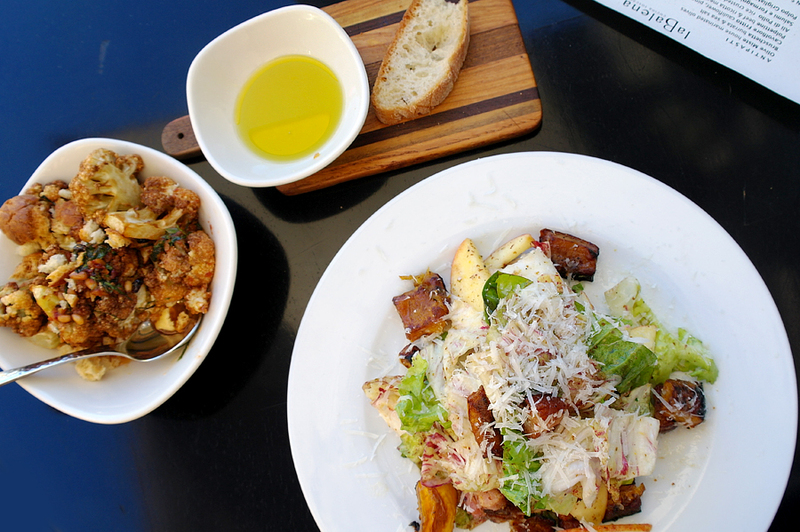 First beautiful scenery, now beautiful food. I am SUPER jealous! 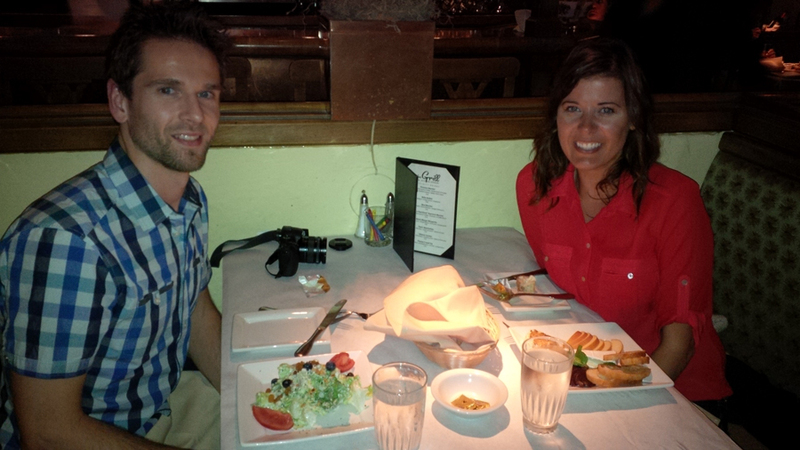 :) Happy Honeymooning! Congrats to you! It looks like you enjoyed yourselves. Congratulations! We didn’t go anywhere, but we been to so many amazing places in the last 10 years. Letty C. recently posted..Brand Opp ~ 100+ Bloggers Holiday Gift Guide 2004 Special! This is so pretty! I want to visit it now.